Twitter may have a profitability issue, but there’s no arguing that the social media platform is heavily utilized by brands, news outlets and individuals alike. Since the digital communications app thrives on immediacy, it’s no surprise that Twitter serves as a news source for a large portion of Americans. And, while news distribution may only be one of Twitter’s intended purposes – trolling, as another, comes to mind— whether you use the app to follow comedians, sports teams, politicians or reality TV stars, your newsfeed is clogged by an infinite stream of content. According to its Q1 2017 Shareholder Report, Twitter boasts more than 328 million monthly users. 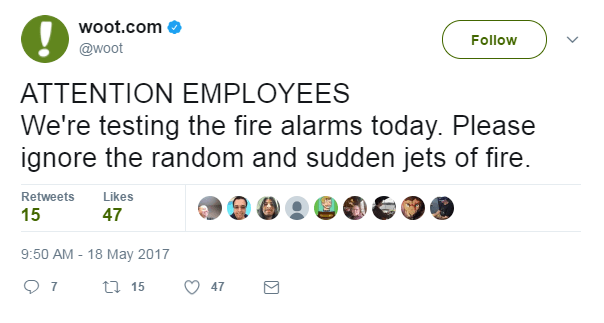 Even if they’re not tweeting the day away, that’s still a lot of elbowing for attention. For brands that use social media to sell consumers on their ideas, services or products, it’s clear that the competition—direct or indirect—is fierce. So how do organizations catch the attention of their content-inundated user base or even use Twitter to change brand perceptions? They adapt by becoming much more creative and unexpected. Merriam-Webster, Woot.com and the Philadelphia Police Department are three great examples that come to mind when I think about this strategy. Although they have varying end goals, the idea is the same—create an offbeat, unique persona that adheres to their brands and the followers will, well, follow! 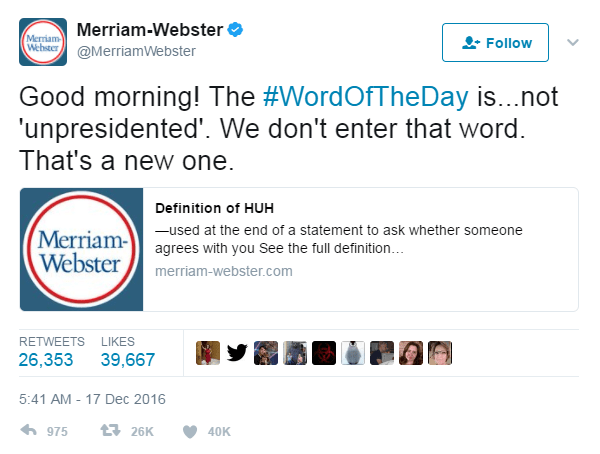 Merriam-Webster: You’d think that a 186-year-old dictionary publisher would be the definition of mundane, but since arguing semantics seems to be the main political defense strategy nowadays, Merriam-Webster has found a sly way to capitalize on people’s curiosity about language. Its social media team’s collectively dry sense of humor has showcased the organization’s identity in the past year or two, tweeting definitions that coincide with increased lookup statistics on the site, along with a healthy dose of sass. The strategy is working – Merriam-Webster’s follower count has increased from roughly 80,000 in February 2016 to more than 530,000 in June 2017. Lisa Schneider, the chief digital officer of Merriam-Webster, stated in a Washington Post interview, “I thought it was a shame that we were not engaging people with our love of language, and the cleverness and humor I experienced in the office every day. 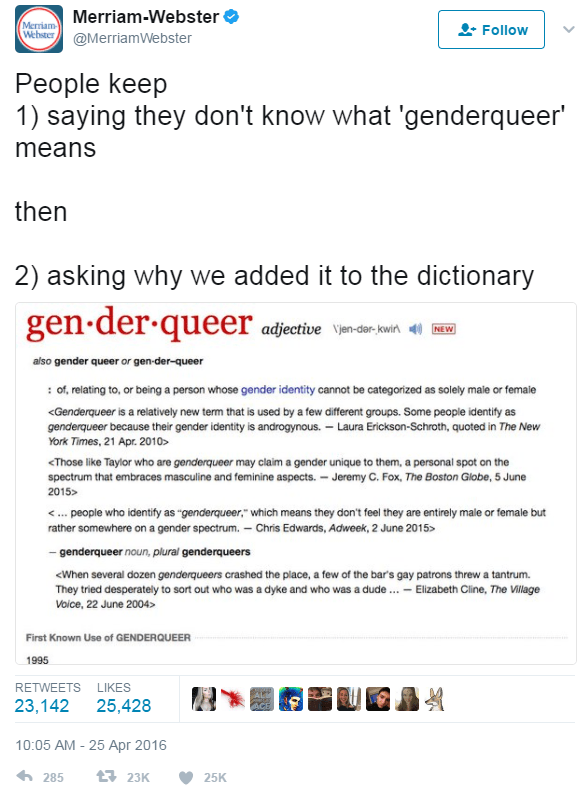 I convinced the powers that be to let me build a content and social media team, and clearly they have hit it out of the park.” By simply highlighting its employees’ non-bookish sense of humor on the Twitter account, Merriam-Webster is building on its real mission—educating people about the nuances of the English language. Woot.com: Woot offers a grab bag of heavily discounted items, which changes every day. 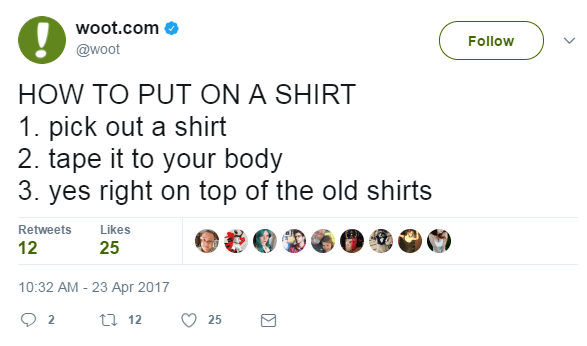 With a company tagline of “Deals & Shenanigans,” and an equally hilarious copywriter running its website, Woot’s Twitter account follows suit. Obviously, Woot is still posting about its daily deals, but the chosen voice differentiates the e-commerce company from its online competitors, and incentivizes potential customers to follow them – even if they don’t plan on buying anything! Woot’s unique approach gives it a distinct personality in an increasingly crowded, undifferentiated marketplace. Sgt. Eric Gripp, the police officer who runs the PPD’s Twitter account, was a panelist for our “Crisis Communications & Social Media” workshop with ChatterBlast back in December, where he described the purpose of creating such a persona for an otherwise serious profession. “If it gets people to engage in conversation with our department, I’m all for it,” he said. 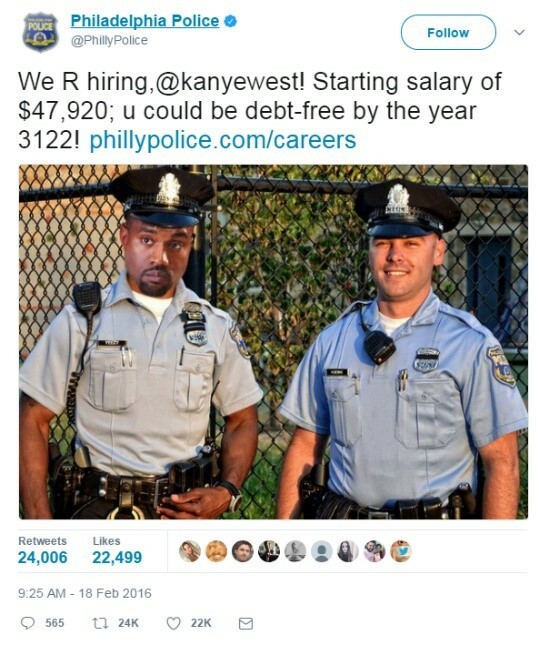 Meaning, if the PPD gains followers by poking fun at Kanye or posting Game of Thrones memes, and those followers find PPD more approachable, that will help make our streets safer. It’s a winning strategy. By engaging in this strategy, brands build a sense of trust with their followers, changing negative or neutral perceptions about their brands to create an initial relationship that has the capacity to be expanded. A skeptic might say that these accounts’ eccentric personalities exist to appeal to a Millennial-heavy base just to gain a following. This strategy is definitely not meant for most (let alone all) brands, but if cutting through the murky (and surprisingly angry) fog that is the Twittersphere means being a bit different, then so be it. Until then, here’s this throwback of Bisquick (Bisquick!!) trying to get in on one of the highly contentious 2016 presidential debates. 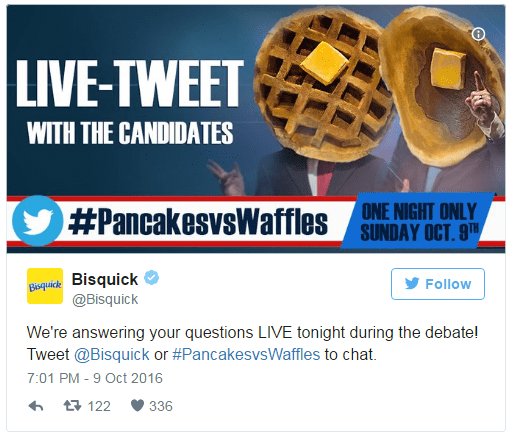 Not now, Bisquick!